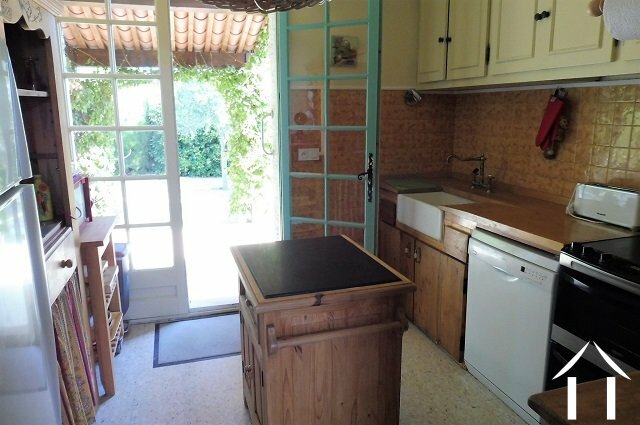 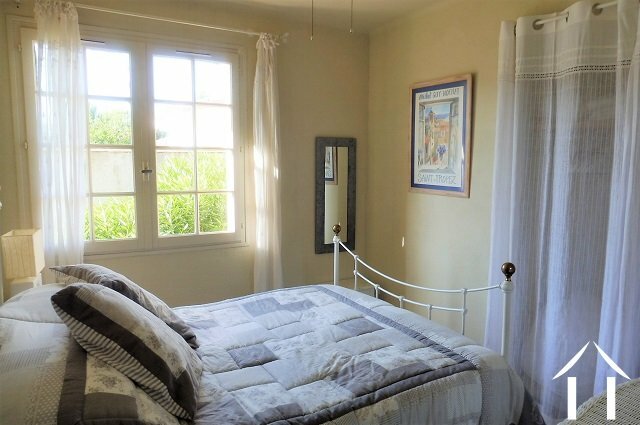 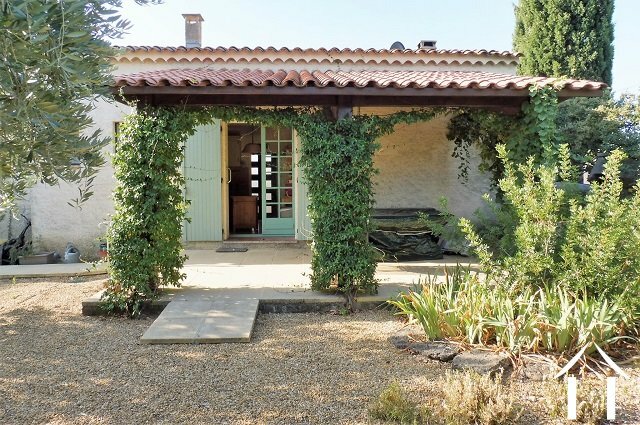 In a wonderful location in the wine village Fontès at 12 km from Pézenas a charming villa with a habitable surface of 110m² on a plot of 917m². . 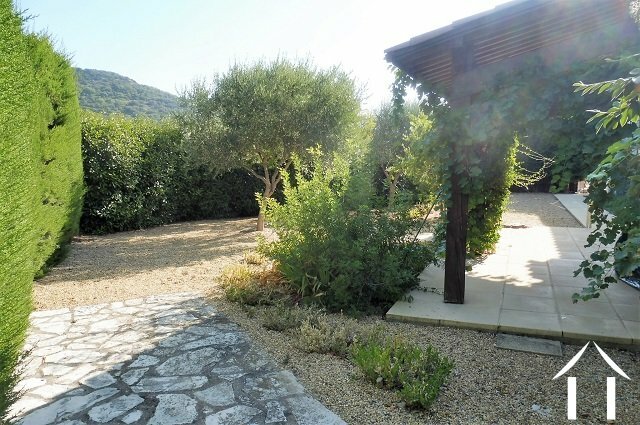 In a wonderful location in the wine village Fontès at 12 km from Pézenas a charming villa with a habitable surface of 110m² on a plot of 917m². 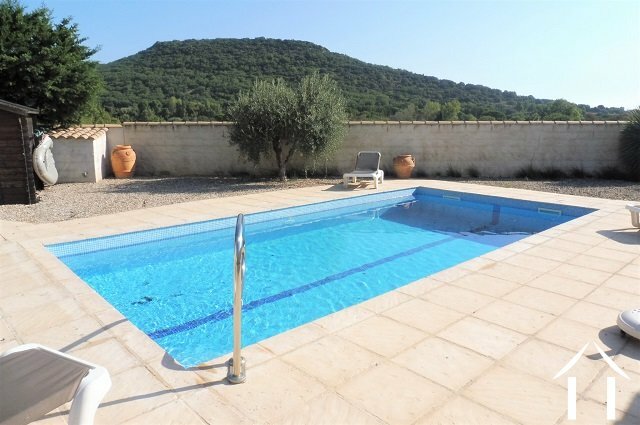 The villa is situated at the edge of the village and offers stunning views at the surrounding hills. 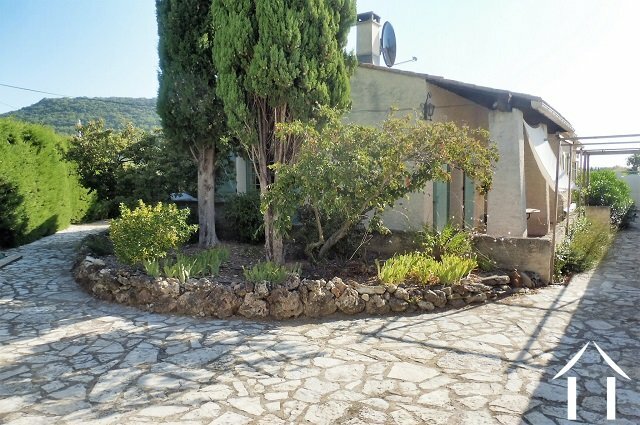 Mediterranean garden with a recent good size swimming pool, several terraces, one covered. 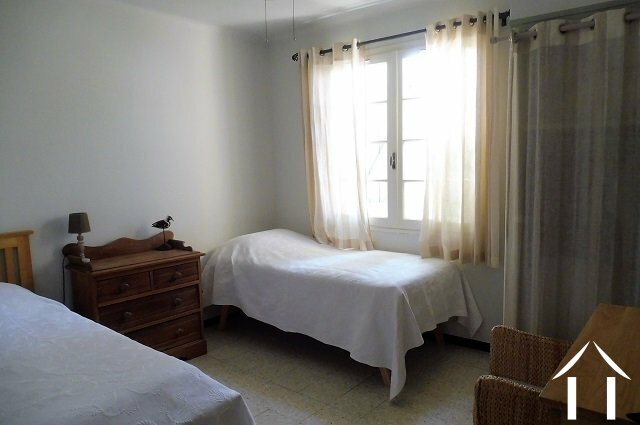 The layout of the rooms quite original: the open entry gives access to the dining-/living room with a fireplace and the kitchen. 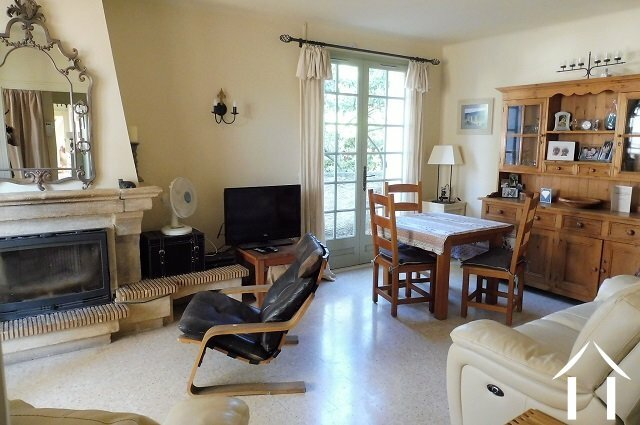 Both rooms have access to terraces. 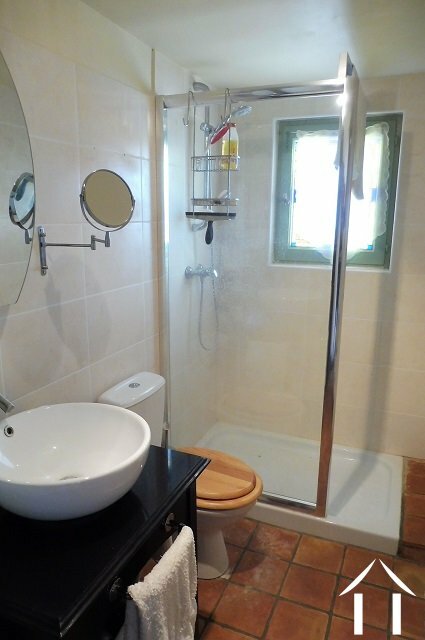 A central hallway serves three bedrooms, two shower rooms/toilets and a separate toilet. 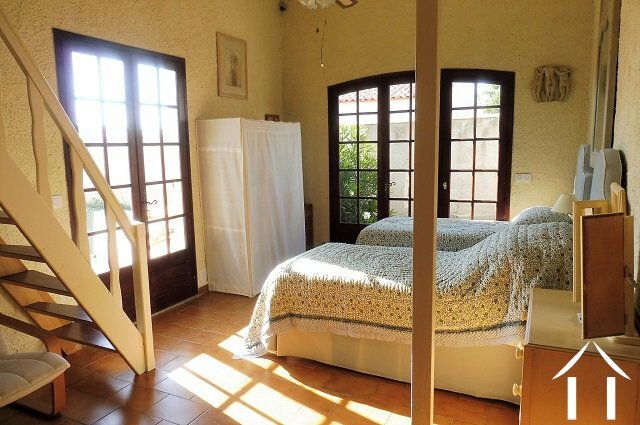 Accordingly the fourth bedroom with a stove and a mezzanine/bureau. 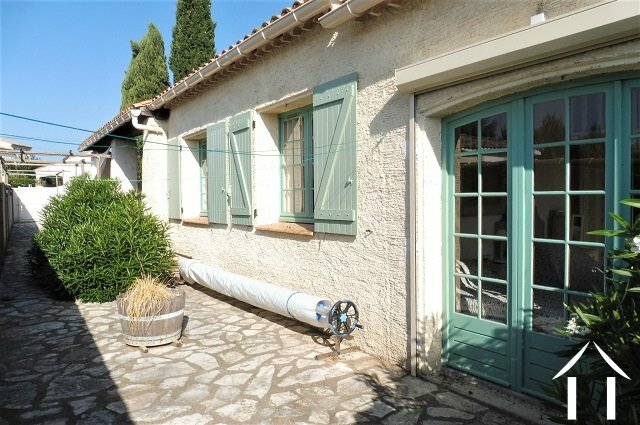 The property breathes a warm atmosphere in where character and charm have been united. 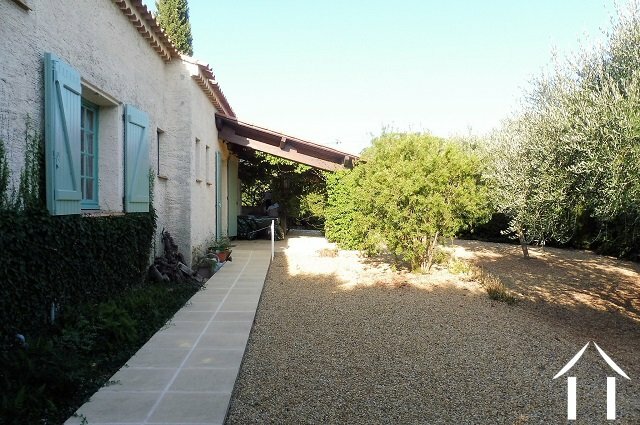 Excellent property on a prime location in a village with all commodities, a must see/visit place! 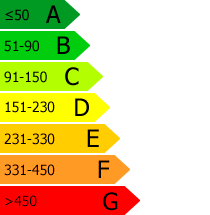 Best value for money. 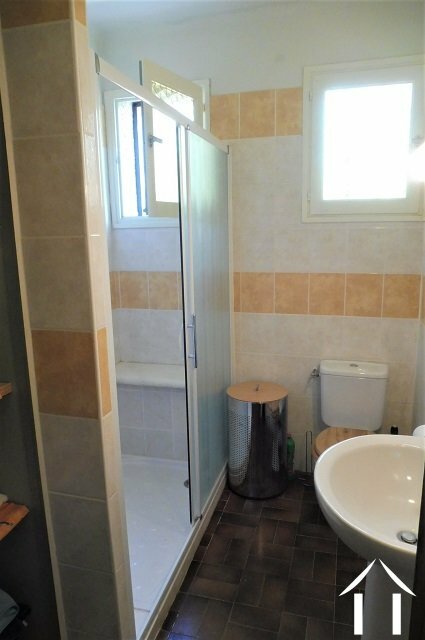 Layout: entry 5,5m², dining-/living room with fireplace 22m², kitchen 9m², hall 7m², three bedrooms of 2 x 9m² and 11m², toilet 2m², two shower rooms/toilet of 4 and 5m², bedroom 19m² and a mezzanine/bureau 9m².